With the announcement that Town Council will support a coopertive effort with RedClay and Blair Art School for occupancy of the MZI buildings, our need has shifted from one of again avoiding demolition to one of supporting and furthering these renovation plans as a philanthropic element. As we learn more about the legalities of how that works, we'll share with you as soon as we're able exactly how pledged donations figure into the public/private parttnership that is envisioned. FOMZI is keeping the pledge drive open, with more assurance now that your generosity will be fuitfull and rewarded! The online pledge form below is still suitable for your use. Friends of Mt. Zion Institute has continued to meet and monitor developments with the MZI project over the past two years. It has been clear that these years were not the optimum for attracting tenants and taking on a project such as this. RedClay has worked tirelessly on it, but time – and the times - have not been in their favor. FOMZI realized that we must likely intercede again if they are not successful; and we applied for and have been granted our independent federal tax-exempt status as a 501c3 apart from the Mt. Zion Society. Here is what we plan to do: in the event that RedClay is ruled in default in December under their agreement with the Town (which looks likely), we want to be prepared to go to Council with enough pledged funding to convince them to let FOMZI undertake a phased project over a 5-year period, either on our own or as a minority/non-profit partner to RedClay. Our three-year involvement has gained us credibility, and start-up funds from our original drive will cover mailings and preliminary legal work. This campaign addresses the capital. We’d want to immediately secure the buildings with new roofing and windows, a cost roughly estimated at $450,000. As economic conditions and the business climate improve, we anticipate that discussions will resume with parties already interested in the property as well as further interest being developed and the project proceeding. To that end, we’re asking for your specified pledge of new financial support if our proposal were to be offered and accepted. Your prompt response is needed. This will be a demonstration of initial funding we can expect and count on, without actually receiving funds unless and until we are in a legal position to begin renovation. Individual donation is the basis that attracts larger corporate, matching grant and foundational support, and we’re assured that there is still money flowing from those sources for projects such as this. Please carefully consider your level of giving and your ability and commitment to honor your pledge if asked﻿. Yes! I am happy to pledge $ _____________ toward the goal of saving MZI. This gift will be tax deductible to the full extent allowed by law. Please respond quickly and thank you for your support! We’ll be reporting our progress on this website. On Wednesday, November 9, 2011, Friends of Mt. 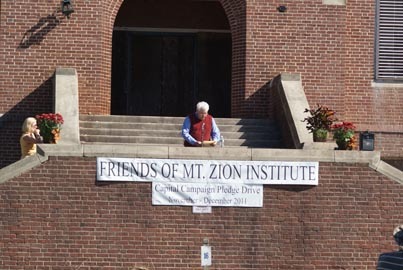 Zion Institute announced the kick-off of a Capital Campaign Pledge Drive. The event was held at noon on the Mt. Zion Campus, with the trimmed and adorned entry steps of the main classroom building as the backdrop. Supporter Bil Haslett welcomed the generous turnout and thanked those who'd assisted with the preparations. FOMZI Chairman Vicki Dodds then recognized two graduates, J. M. Lyles, Sr. and Frances Davis Haslett, from﻿ the MZI Class of '36, the last class to graduate before the current buldings were completed. In announcing the Pledge Campaign, Dodds described the current status and FOMZI's decision to intercede and try to move the stalled effort forward. The campaign drive is designed to raise enough pledged funds to approach the Town Council with an offer to take the buildings and quickly begin a 5-year phased renovation. Economic conditions have made it difficult for the private developer to sign user or tenant commitments that are needed to obtain typical financing. The group believes that a philanthropic effort can better address the financial needs of stabilizing the five buildings while continuing to work with already interested parties or potential new ones. The group’s focus is on using the buildings and the history of Mt. Zion to leverage a unique story into an economic advantage for its town and county. More involvement from those governments was called for; and Dodds noted that the plan isn't an overly-ambitious one for even these times, saying that it provides an opportunity to do it the way that most often leads to success - a team effort combining local government, enthusiastic citizens, and a group willing to work hard to see a dream realized. The pledge campaign will run for the months of November and December and utilize pledge letters mailed or distributed to over 1200 residents and former residents, approaches to corporations operating in the county and the Midlands, as well as a promotional video, speakers and fund-raising events. South Carolina Senator Creighton B. Coleman, a native and resident of Winnsboro, took the podium to thank FOMZI and the Winnsboro Town Council for their efforts to preserve this part of the town's history and return it to productive use. ... for more, be sure to go to our photo pages! Sincere thanks to RedClay, LLC for their permission and to our citizen volunteers Cathcarts, Parker, Gutschlag & Haslett for their grounds work on the building and to the anonymous good souls who carted off﻿ the refuse! Also, our appreciation goes out to Frances Haslett and to Christina Lee at Petal Pushers flower shop in Winnsboro for the potted plants and mums that brightened the scene. For the pledge letter and an online pledge form, please click highlighted phrase or go to:the drop-down menu of Announcements. We're happy to report that attorney Mike Kelly's plans to renovate the burned Thespian Hall in downtown Winnsboro go on! FOMZI wishes him great success and send our thanks for being a part of the preservation and renewal movement we so hope to be a part of. We welcome your questions and queries. Please see our Contact Us page or the Pledge Form page for complete contact information. We've continued our updating on the Announcements page for now. Just click the link below and scroll to the bottom on that page. Well, no one ever said it was going to be easy. Several factors conspired to slow things down during late May, June and part of July, not the least of which was the impact of the current economic situation on the timeline that the Town, the McMaster family, and FOMZI itself had hoped for. In an effort to lessen that impact, a new plan is currently developing that may be the answer to many of the concerns inherent in the purely philanthropic means of rehabbing Mt. Zion. It's a little early to go into details, but we are pleased that it appears to be a truly united effort to reach the best and most timely solution for both funding and construction. Stay tuned ... we'll share more when we can! Still with us? Good! It seems agonizingly slow, but the Mt. Zion plans ARE still moving along. The McMaster family and Town of Winnsboro continue to hammer out the details necessary to best structure their agreement on the campus property. Both naturally need safeguards and assurances in place, all of which can only serve to better protect the chances of success at Mt. Zion. It's not a "done deal", but so far, so good. FOMZI continues as an advocacy group for the project. We've moved from a steering committee to naming an official board of directors and will soon elect our first term officers. Though not immediately involved with the ownership transfer or initial renovation details, we'll continue to monitor the process and report on any progress. Also in the works are some related plans or events that will allow the town and Mt. 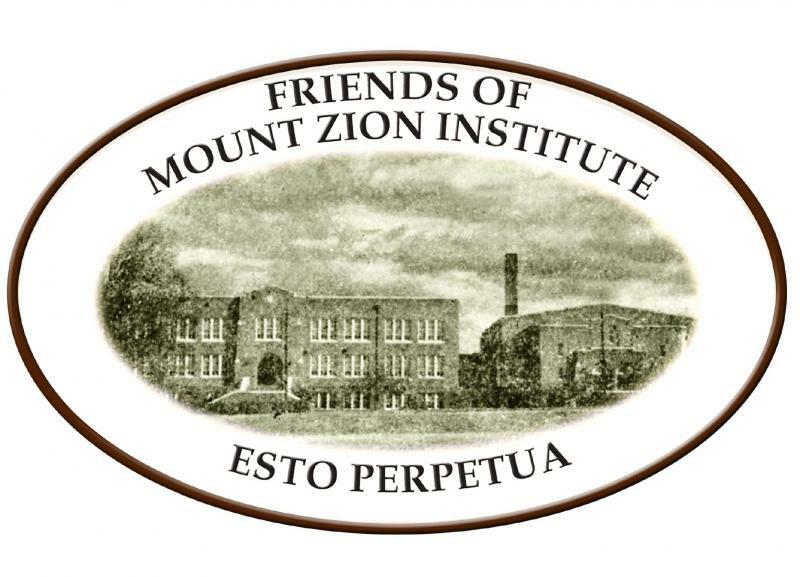 Zion supporters to participate in celebrating the long-awaited beginning of the rehabilitation. All we need to hear is "It's a go!" FOMZI enters the new year still awaiting finalization of what it appears will be an agreement for a conditional transfer of the Mt. Zion building campus from the town to a private patron, the McMaster family. This will facilitate the most expedient beginning of the stabilization and renovation process and ensure a definite period of time in which to move the process along and prevent the loss of the buildings. The Town is working with Mr. McMaster to make sure various historic protections are in place and that appropriate zoning and ordinance needs are met that will enable the vision of MZI as a continuing educational and cultural venue to be realized. FOMZI itself is somewhat in a "holding pattern", or stand-by state, for the time being. As a non-profit, we cannot provide funds to a private entity and have suspended our requests for donations until we determine what, if any, part we'll be needed to play in the foreseeable future. At the least, we hope to continue building the structure of our organization and to support, promote and advance the interests of the whole campus and historic setting. We'll continue to share developments in the project here. Our sincere thanks go to the McMaster family and the Town of Winnsboro for their efforts to find a way to save Mt. Zion and return it to a meaningful place in the community. Thanks, too, to you who've followed our story through this website and provided encouragement in so many ways. FOMZI is gratified that we were able to provide evidence of interest and support that played a large part in establishing the case against demolition! October's been a busy and productive month for FOMZI! We applied for and received our non-profit Charter, making us a legal entity in our own right and able to enter agreements and contracts if the need arises. We continue to operate under the Mt. Zion Society's 501c3 for donation purposes but are drawing up By-Laws and beginning a board selection process that will lead to a fully functioning independent organization to serve the support needs of the Mt. Zion campus. FOMZI continued its local support sign-up effort both in Winnsboro businesses and at the Rock Around the Clock festival, which was a fun event that brought us many signatures and words of encouragement. Last, but most important, we prepared our official presentation for Town Council and appeared before them on October 7. To supplement print material provided to them a few days before the meeting, we narrated a Power Point presentation on the WHY, WHO, WHAT and HOW of our planned renovation and reuse of the Mt. Zion property. It appears to have been well received, and we are presently awaiting the final deliberation of Council and the working out of certain details related to an agreement. Things look quite positive but are not yet definite. Watch this spot for big, bold letters when we're able to make a definitive announcement! 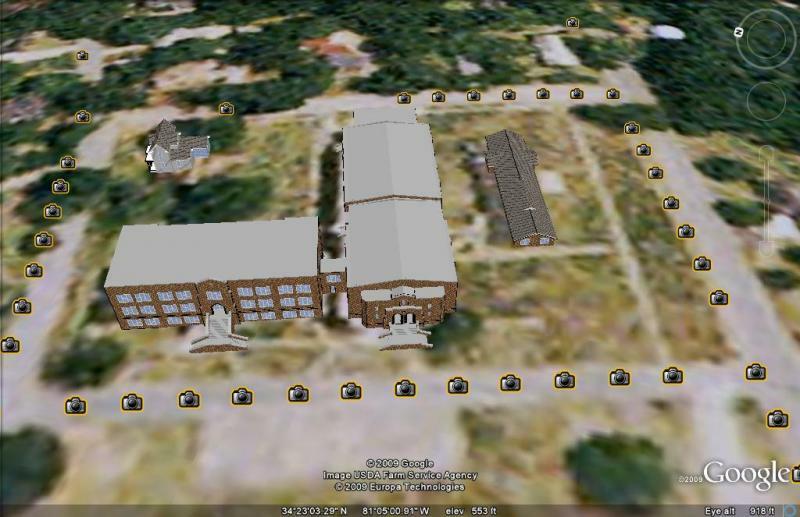 August brought us the long-awaited engineering reports, which confirmed earlier assessments that the classroom building, auditorium and gymnasium are all well worth rehabbing for our purposes. The cafeteria, a later addition to the campus, will likely be razed, with the space providing additional parking. We accomplished several other important things during these weeks. A door-to-door canvass of the residential neighborhood surrounding Mt. Zion was conducted. We gleaned many insights into concerns of nearby homeowners and can address many in our planning and structuring. The level of positive neighborhood support for this project delighted us, and we'll do everything we can to make the "new" MZI a welcome improvement to this lovely and historic area. Another project completed in mid-August was the mailing of nearly 900 brochures to former students of Mt. Zion, starting with the Class of 1936, who inaugurated the then-new buildings. Many went to still local residents and more were sent all over the U.S. The response has been very good so far and FOMZI is enjoying the comments and good wishes we're receiving. Presently we're waiting (again!) on cost estimates and recommendations from the architect we engaged as consultant to the project. Working plans already existed and we hope to have few significant changes necessary. FOMZI is using this time to develop our presentation to the Town for acquisition of the buildings or an agreement that will allow us to proceed. This will, of course, be the defining prelude to working out many details and issues that are dependent on their decision. Stay tuned. FOMZI is now three months into our work. Those weeks have gone by too fast but have been full of planning, learning and more planning and learning. We've sought out experts in various fields that could assist us in moving forward and found that most of what we're doing is right but that we may not have been tackling things in the right order! So, back at the drawing board, we've revised our to-do schedule. Time remains "of the essence", of course, but we believe we're now on a more realistic track and remain optimistic about our chances of success. Engineering studies have been underway this month and we're awaiting the written results. Verbal comments by those poking and prodding through the buildings have been encouraging. This process and the wait for reports is more than a little nerve-wracking; but we know that, when they're in, we'll be more fully informed and knowledgeable during our decision making and the bidding and contract negotiation process. Midlands Technical College appears to be firmly committed to a location in Mt. Zion if we are successful with our plans. Dru Blair, of Blair School of Art, is already in Winnsboro readying the Monticello portion of his school for opening and will be working with us on plans for the portion of Mt. Zion he hopes to occupy. Since we think this will be a phased project, we haven't begun talks with the several museum interests yet but will be pursuing those once we're on more solid ground with regards to acquiring the buildings. We're increasing our publicity efforts, with a mass mailing in the final stages before send out. Our database contains more than 800 names, many of whom will no doubt be hearing about this effort for the first time. Additionally, we now have a promotional DVD, which we'll use in presentations before clubs and civic groups and as a donor appreciation gift as well. Unfortunately, we can't make it available for sale but hope to upload a brief version to a video site and link to it here on these pages. Again, you can also follow our progress through our special reports in The Herald Independent (www.heraldindependent.com) and we'll make every effort to get weekly meeting recaps up and running. Meanwhile, let us hear from you ... every name and note of support is important! Talks with Midlands Tech continue to be positive. An engineering liaison has been assigned to us to assist us in meshing our renovation plans for the classroom building with their space and layout needs. Additionally, Blair School of Art, currently located in Raleigh, NC, has expressed a strong desire to take part of the Mt. Zion building if we're successful in our rescue effort. This is a widely known commercial art school that draws both U. S. and international students and would fit well into our educational focus. More, several museum interests have made overtures about locating specific collections at the Mt. Zion Campus. While all of this is still quite tentative in nature, FOMZI is encouraged by the show of interest and their positive view of our future. Look who explored MZI this week! We've reclaimed our HOME page as an introduction to the MZI story. We'll still feature our most recent updates on the ANNOUNCEMENTS page and others have been moved to UPDATES or archived in a drop-down under that link. A site overhaul may be due .... but this is, after all, a "story" and we're not yet ready to skip any of the chapters! ﻿Weeks whiz by! Among the things FOMZI has been working on: an email newsletter that will eventually go out to all those who have registered their email address with us, either online or through other means. If you've changed your address or neglected to include it, please let us know. We hope the newsletter will be informative both about what we're working on and about preservation-based economic development in general. The newsletter is part of FOMZI's effort to reach out to the wider community and encourage a cooperative spirit of support for the MZI project. Also getting underway is the engagement of the Moore School of Business at USC to conduct an economic impact study focusing on the potential of Blair School of Art to significantly affect Winnsboro's and Fairfield's revitalization efforts. Thanks to the two donors who have made this study possible! It's one thing for supporters to tout the expected impact but quite another for a respected business school to put hard numbers to it. We're meeting regularly and staying in close touch with James Maynard of RedClay, who is assembling his team and working with Dru Blair to formulate a final plan. Speaking of Dru, be sure to check out the link below (also found on the Links page) to see a short feature done on his art school by SCETV recently. And lastly, Friends of MZI are now a proud member of the Fairfield Chamber of Commerce! We have a brand new year to work with and the fresh hope of RedClay Development and Dru Blair's art school moving forward, FOMZI is delighted at the prospect of posting frequent and exciting updates in the coming months. Since the December announcement, FOMZI has continued the pledge drive in anticipation of being a non-profit "partner" in what must ultimately be a public/private team effort. (See drop-down "Special Announcement" under this page link.) The response has been gratifying ... $50,000 raised in less than two months! No, not enough yet to complete a first phase but more than enough to convince us that it would be doable if it came down only to citizens who care. For now, though, that isn't the case; but in the weeks ahead we'll carefully weigh options and opportunities to assist. We've met this week with RedClay and Dru Blair, along with several others who will be involved in the project either as consultants or participants. First steps are being planned, particularly security at the building and immediate stabilization. Also, there's still much groundwork to lay: gaining further community support from the business sector, bringing County leaders on board, and fine-tuning the game plan. Momentum is building ... and Friends of MZI will keep you posted each step of the way. 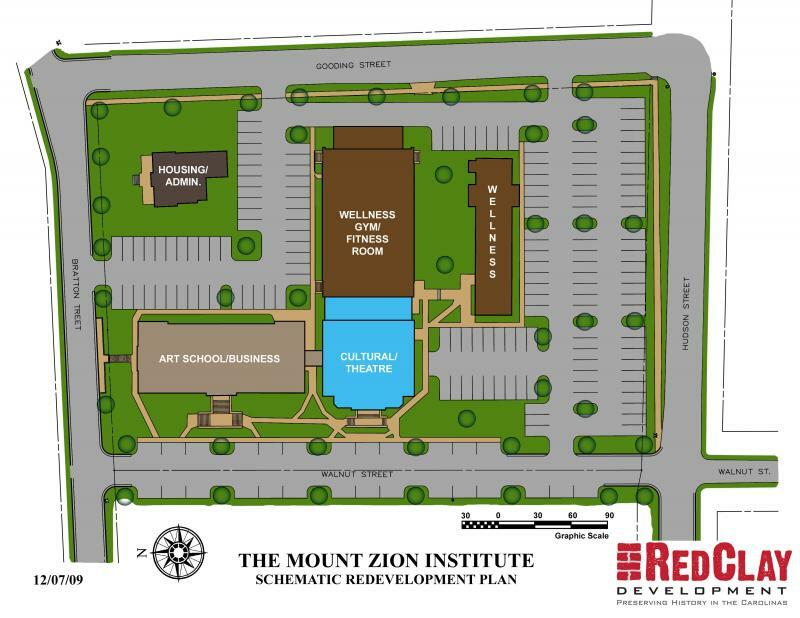 Another shout out of thanks goes to Winnsboro Town Council for being willing, yet again, to give Mt., Zion a chance! It's not an easy decision for a body entrusted with the day-to-day services and well-being of a town but IS a decision that shows recognition of the possibilities and appreciation for the rewards a successful readaptation can bring. Thanks, too, to James Maynard of RedClay Development, PLLC for hanging in there and continuing the quest even when things looked so dim during the worst of the economic crunch ... and to Dru Blair of Blair School of Art for boldly stepping forth and claiming the vision he and so many others have had all along. HUGE THANKS to all of our pledgers during our recent pledge drive. Your response not only reaffirmed our faith in the validity of the project, it strengthened our belief that individuals, working together, CAN make a positive difference in their community. To have gotten to this point is more than we five years ago, so with Mt. Zion still standing and its future looking nearly secured, it seems important to say a special thank you to those who played the biggest roles in getting us there. Thank you, McMaster Family, for stepping up to the plate with funds to stop the demolition. Thank you, Bill McMaster, for eloquently presenting the case on so many occasions. Thank you,Town Council members, for your individual and collective willingness to keep open minds and open ears about the possibilities for the buildings and what they could mean for the town and county. Thank you, Town employees, for the extra hours of research and thought we know some of you put in along the way to give Council the information they needed to make the decisions they did. Thank you, members of the FOMZI Steering Committee and Board, for bringing the cause to public attention and garnering the support that perhaps held things together until the answer came along. 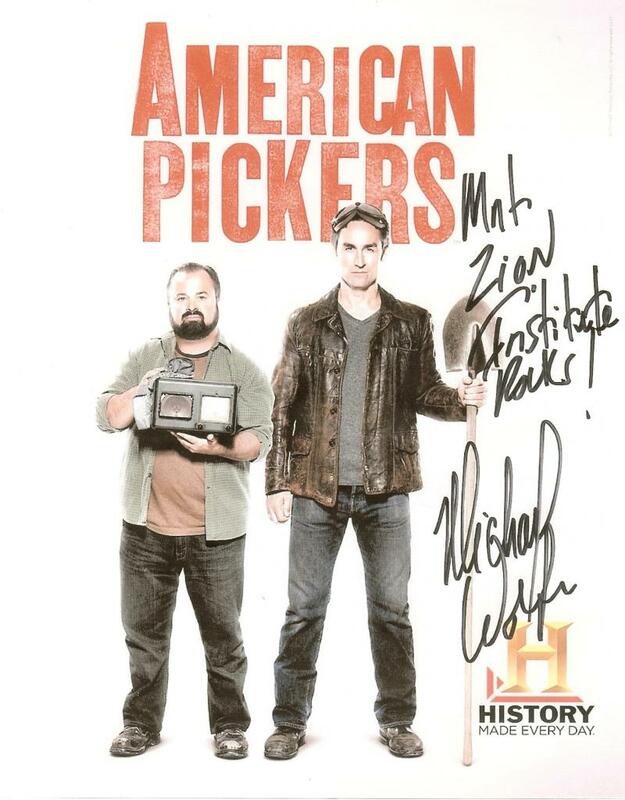 And thank you, MZI friends, for letting us represent you. FOMZI received word today that RedClay developer James Maynard and Dru Blair, of Blair Art School, appeared before Town Council at their regular meeting last night (12/20/11). Instead of the default we feared, Maynard and Blair offered a definite proposal to move forward with relocating the art school to Mt. Zion, contingent on the Town and the County participating in the redevelopment and allowing enough time to put the plan together. Town Council agreed, and agreed to help bring County on board. This is a major turning point and FOMZI is delighted, to say the least! We’ve long supported continued educational and cultural use for the campus and Blair’s well-regarded school has been at the top of our list. The potential to enhance further economic development is so promising and, as shown in a recent Herald Independent article and photo of a Japanese contingent traveling to see it, the school attracts students and visitors from all over the world. Our pledge campaign will continue, with the hope that our participation in the joint effort is expected and welcome … and, yes, in case something changes with the current picture. Right now, though, we regard the events of last night and the evident spirit of cooperation as VERY positive, and we offer congratulations and hurrahs to all concerned. PLEDGE DRIVE NEAR ROOFING GOAL! Many, many thanks to those who have taken a leap of faith and promised an investment in our community's future! Pledges large and small are mounting up and Friends of Mt. Zion Institute is both encouraged and hopeful. We're finding more and more examples of successful public/private efforts that use historic preservation as a component of town revitalization. Time after time, history-based development has proven to be a catalyst for increased employment, increased property values, higher tourism and prosperity, and improved quality of life for residents. Let's help make it happen for Winnsboro and Fairfield County and preserve Mt. Zion's history of service . We'll keep you posted! See news of our 2011-2012 Pledge Drive Kick-Off under Special Announcements! Nine months have gone by since our last update and, regrettably, progress has been slow and reflective of the economic changes and times. RedClay WAS granted the rezoning in June 2010 and has been working to secure financing and tenants. In a report to Town Council in October, they were candid in their assessment that these are difficult times to be undertaking a project of this type, saying " ... the current economic climate and change in lending requirements of banks nationwide have changed the way banks deal with unsecured debt from the way it was handled just two years ago. Effectively, the property is not suited for collateral ...". Nonetheless, RedClay Development, PLLC has remained committed to the project and continues to seek avenues of funding and occupancy. FOMZI has kept in contact through these months, both as a monitor of sorts and as official "cheerleader" and encourager. RedClay has been good to keep us apprised of promising leads and contacts and, at this point, feels that some pieces of the project are close to falling into place. We fervently hope so! The archeological study continued into the summer, with a pit project at the site of the old wooden dining hall (long demolished) behind what had been the elementary school. Among the items found were old square nails, a great deal of coal pieces, unidentified metal pieces, unsurprising pencil nubs, chinaware shards, and an abundance of glass, which our knowledgeable leader characterized as "wine glass". It was decided not to draw any conclusions from that particular find, but the colors and thickness of the pieces, which included a nearly-whole bottle bottom, indicated late 18th century and 19th century use. Summer heat suspended the study but we hope to continue this spring. April and May have brought several notable developments in the project. The first is RedClay's application for rezoning of the property, from R-l (residential) to PDD (planned development district) which will allow the mixed uses needed in the project. No date has been set for the public hearing. In the meantime, work is being done on the old cafeteria building in preparation for its use as a training center for local labor who will be working on the renovation of the school. RedClay is committed to utilizing local labor as much as possible, something we especially applaud in these times that have been so hard on Fairfield Countians. A third item of interest is news that a so-far small archeological study has begun on the Mt. Zion grounds. Coordinating with the state archeologist, knowledgeable local volunteer John White is plotting and investigating a number of test digs, which are basically small holes to see what may be found. A few small items have already turned up, so we'll follow that story as it unfolds. Related photos can be found on the photo page and are linked here. No official announcements have been made as to tenants, but it is generally known at this time that negotiations are underway for a wellness center to occupy the gym, possibly the old cafeteria, and likely one floor of the classroom bulding. We know that there are also talks underway with several arts-related entitles regarding both the remainder of the classroom building and the auditorium; however, we don't know where they stand at this point. FOMZI recognizes the need for confidentiality as RedClay works to find suitable and appropriate tenants, and they have been most thoughtful in letting us know as much as they can when they can without jeopardizing any agreements. We've learned great patience over the last two years, but as soon as we have official pronouncements, you'll find the news here! On December 11th, ownership of the Mt. Zion property (building tract only) was transferred by the Town of Winnsboro to the newly-formed The Historic Mt. Zion Institute, LLC. This is the business entity under which RedClay will renovate and operate Mt. Zion. It is our understanding that the transfer includes conditions that protect the property and both parties. The old football field, or green, and the monument portion of the larger tract are not included in the transfer and will remain the property of the Town of Winnsboro. Discussion continued between the Town and RedClay and, while we were not privy to the ongoing negotiation, both parties were gracious and understanding about assuring FOMZI that progress was being made. We did some "due diligence" of our own in the meantime and remained hopeful. On October 29, RedClay and the Town held a public information meeting at the Old Armory to present preliminary plans to citizens (and us!) and explain their methods of financing such projects. The presentation was well-attended and brought forth spirited discussion on the related issues most impacting the property, the neighborhood, and the town. There were, of course, some understandable concerns expressed by several nearby neighbors but , for the most part, those attending were very supportive and enthusiastic. Mr. Warlick, who has a construction engineering background, and Mr. Maynard, an architect, related how their common interest in old buildings and historic properties led to their partnership and RedClay Development. They gave a PowerPoint presentation showcasing a recently completed project in Ware Shoals, SC (see Link page) and had several schematic drawings of their plans for Mt. Zion. The venture is to be financed through a combination of RedClay's established major lending relationships, sales of tax credits, and grants. Mr. Maynard especially is obviously quite knowledgeable about grant funding for projects such as Mt. Zion and the process of obtaining them. We made reference to a new development in our previous July update. It was becoming clear to all involved that a strictly private effort by the McMaster family was likely unfeasible, given the current market conditions and various other things that had to be factored into the plans. The time frame would have stretched out beyond what anyone wanted, and the burden on a singular patron would grow as that time passed, as would the deterioration of the buildings. About that same time, an alternative presented itself in the form of a development team who concentrate on historic properties, Frank Warlick and James Maynard of RedClay Development, LLC out of Charlotte, who’d learned about the project through an acquaintance with Winnsboro connections. After several weeks of contact and exploration involving the FOMZI board, Bill McMaster and the RedClay group, we recognized that we had an promising alternative to Bill’s strictly philanthropic venture and its inherent time impediments. Both Bill and RedClay met with Town Council in late July, and Council and RedClay worked together from there to arrive at a workable plan. RedClay has several impressive and successful historic rehab projects under its belt and we’re confident that it is a company sensitive to both the needs and the character of the areas it has gone into. From the get-go, FOMZI strongly emphasized the type of uses we originally envisioned for Mt. Zion; and both Warlick and Maynard were immediately receptive and eager to respect the framework of benefiting the whole town and county while staying mindful of the Mt. Zion neighborhood.